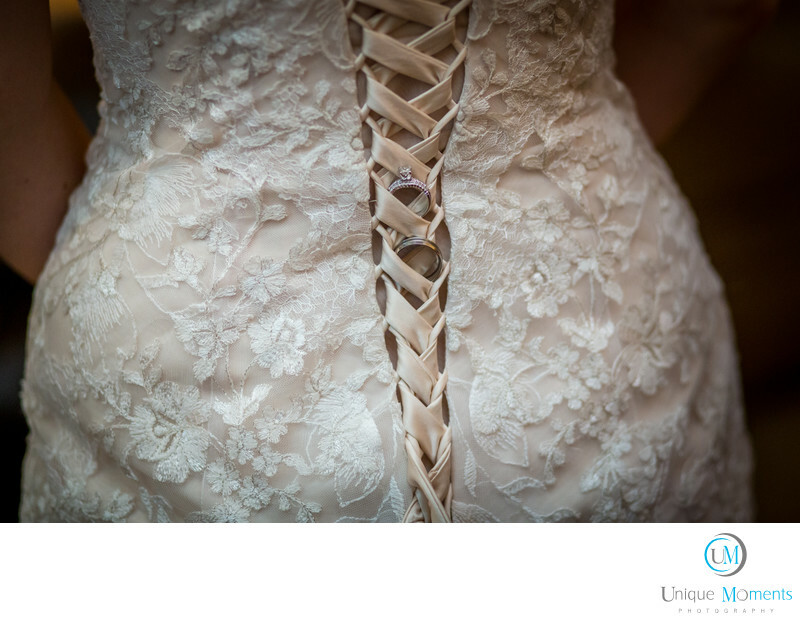 Unique Moments Photography is at your wedding as soon as you start to get ready. So Much goes on in the dressings rooms. But the back of the dress and lacing the dress are must have shots. You have to have them in the clients portfolio. We try to get creative when ever we can and we decided to take One more ring shot before she packed them up for the ceremony. Just something different.